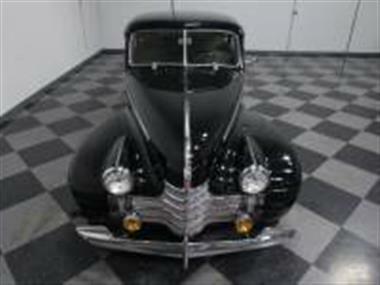 1940 Oldsmobile Other in Lithia Springs, GA for sale. 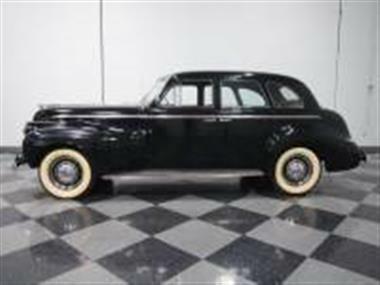 1940 was a big year for Oldsmobileand#44; as they were the first to receive GMs revolutionary Hydra-Matic automatic transmission. 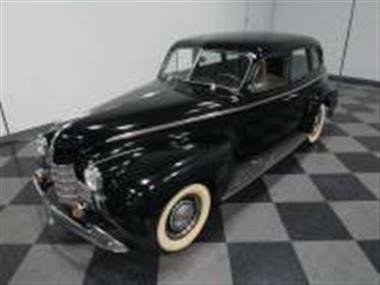 They didnt sell manyand#44; but it gave the whole lineand#44; including this 1940 Oldsmobile Series 70 4-door sedanand#44; a big boost in showrooms. With proven powertrains and handsome stylingand#44; today Oldsmobiles are fantastic starter collectables that deliver a lot of fun for not a lot of cash.<br /> <br /> This is one of those solid old cars that has simply been maintained rather than restoredand#44; and in many cases theyre better cars because of it. After alland#44; do you really think a restorer can put one of these together better than the factory? Wearing simple black paintand#44; this one has the look it might have worn after the warand#44; a little worn but still totally functional and upscale. The paint is a little weathered and there are some scratches here and thereand#44; but cars like this have a lovely patina thats impossible to duplicate and which suggests great history is behind it. You could paint this one and end up upside-down in valueand#44; or you can just enjoy it as-is and realize that most people prefer a little character instead of shiny perfection. Its not banged upand#44; its not rustyand#44; and all four doors close with that heavy precision that no modern car can duplicate. 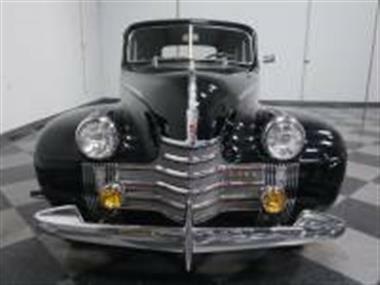 And the chrome really is niceand#44; with that beautiful grilleand#44; stylish bumper and hood ornament look fantastic for their age. 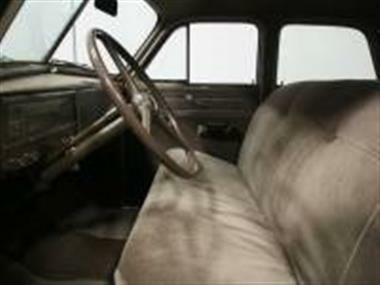 I might invest in re-covering the running boardsand#44; but then againand#44; theyre only original once.<br /> <br /> The interior has probably been reupholstered at some pointand#44; but it looks quite authentic with tan fabric and factory-style upholstery. The carpets and door panels are likewise in very good shapeand#44; making this a great place to spend some time. 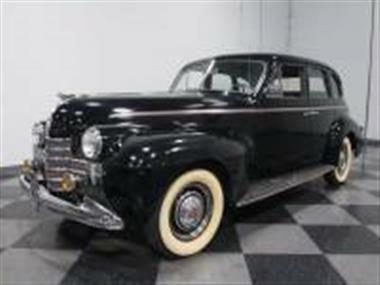 Theres high style on display with ornate garnish moldings on the windows and a center stack that mirrors the grille up front. This one didnt get the Hydra-Maticand#44; but three-on-the-tree was still the more popular choice and makes the most of the 6-cylinders powerband. Theres also an optional AM radio which sadly isnt working but is a welcome extra. The big steering wheel makes you feel like youre really at the helm of something important and the big back seat will leave everyone happy with their accommodations. 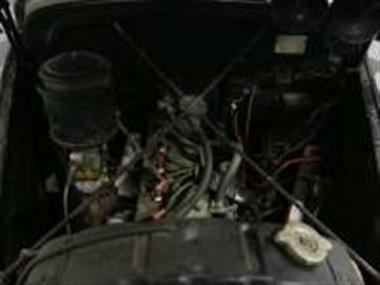 Even the trunk is neatly finished and includes a spare tire assemblyand#44; just in case.<br /> <br /> The 230 cubic inch flathead six is just about as reliable as they comeand#44; and despite the demise of Oldsmobileand#44; parts and knowledge are still readily availableand#44; even at your local auto parts store. The six is torquey and smoothand#44; and even relatively thrifty with its single downdraft carburetor. There are signs of regular careand#44; with recent ignition components and the sucker sure runs smooth and quiet! The 3-speed manual shifts easily and theres enough torque to pull it around at low speeds in top gearand#44; so not a lot of shifting is required. Tallish gears in back mean its happiest around 50-55 MPH on the highwayand#44; but if being in a hurry is your thingand#44; then youre missing the point of having an old car like this. Its a little grungy underneathand#44; but no major issues and a new exhaust system gives it the right grumbly soundtrack. Steel wheels with hubcaps and Firestone wide whites are the right lookand#44; and a set of wide whitewall radials would make this car ride and handle like new.<br /> <br /> Go ahead and try out something you might not have consideredand#44; something like this cool old Olds. 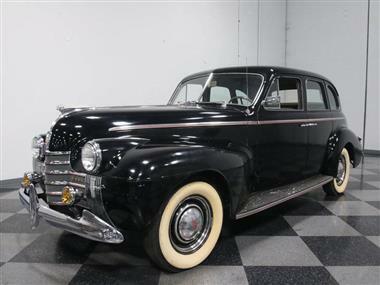 You just might find that the 40s were a great time to be a car owner. Call now!